YES — Every year, more than 200,000 English speakers get jobs teaching English abroad, and more than 90% have no prior teaching experience and no degree in education, or even English. In fact, up to 20% of them don’t even possess a four-year college degree! With up to 1 billion people taking some form of English class each year, the demand for native or fluent speakers to work as English teachers is virtually insatiable. From summer camps and kindergartens to public schools, language institutes and corporate training, English speakers with no prior background in professional English teaching are employed in more than 100 countries around the world. But how will I be able to teach and communicate with my students? You will teach in a 100% English immersion classroom. Students are paying for a full immersion experience every day by a native or fluent speaking English teacher to speak, listen, read and write in a new language. Instead of flying to an English speaking country and living abroad for several years to have English surrounding the student, they take language classes from you. How will I learn to teach English? An internationally accredited 120-hour TEFL certification will provide you with the skills in methodology, lesson planning and classroom management that you need to succeed as a professional English teacher abroad. You will also earn a qualification that thousands of schools and language institutes around the world require when they hire new english teachers. Instruction provided by experienced university-level instructors. 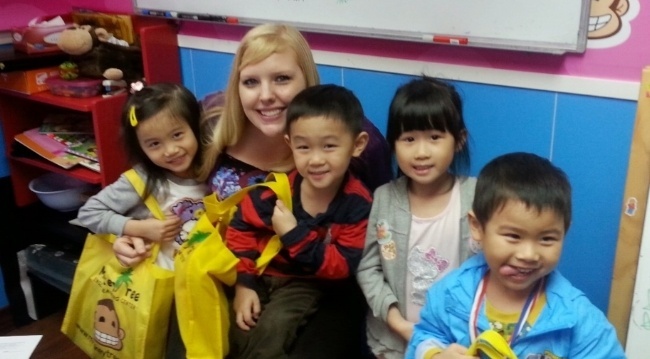 TEFL classes are either full time for 4 weeks (20 days of classes) typically 9 am to 5 pm, homework at night or part time (11 weeks) in an online TEFL class. You also want a TEFL certification course that provides lifetime job search guidance to provide you with the resources, guidance and expertise you need to find and interview for jobs teaching English abroad. Too many aspiring English teachers have tak en second-rate TEFL courses or classes from organizations that did not provide quality job placement assistance so they are left with a piece of paper stating that they are TEFL certified, but they are unable to find the quality job opportunities that they should be qualified for.